Kevin Hart is "Irresponsible". 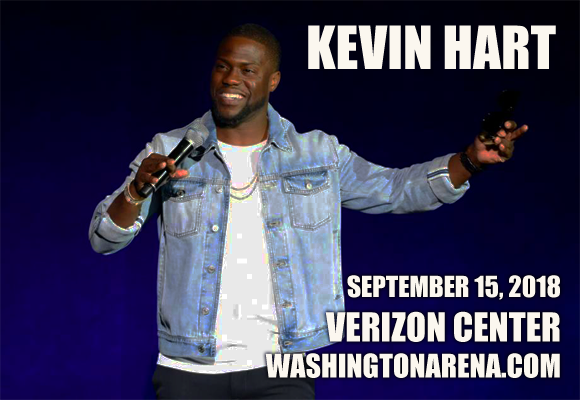 He's also hilarious, and he's coming to Verizon Center on Saturday 15th September 2018! The world-famous comedy hero pokes fun at his all-too public transgressions in this refreshingly honest and downright hysterical new show, which will be hitting up over 100 cities worldwide this summer! Tickets in limited supply… Don't delay! Actor and comedian Kevin Hart first became a household name in 2001 when he starred in Judd Apatow's Fox series Undeclared. Hart began his career as a stand-up comedian in the 1990s, and is now one of comedy's biggest-sellers, with his record-breaking 2015/2016 What Now? Tour grossing over $100 million. I'm a Grown Little Man, Hart's first comedy album, was released in 2008, and he has since released four more stand-up comedy features, with Kevin Hart: What Now? (The Mixtape Presents Chocolate Droppa) – the soundtrack to his What Now? Tour – receiving a nomination for Best Comedy Album at the 2018 Grammy Awards. He is also a hugely successful actor, with roles in several high profile films, including Little Fockers (2010), Get Hard (2015) and Jumanji: Welcome to the Jungle (2017). I Can’t Make This Up: Life Lessons, Hart's memoir, debuted at Number One on the New York Times Bestseller list, and remained on the list for ten consecutive weeks. “Irresponsible” is Hart's sixth comedy tour.